How to find out which Java version is installed? You will either get an error message indicating Java is not installed or at least not configured for your environment or a summary from Java including the version number. Make sure it fullfilles the requirements in the installation section. How to find out if 32bit or 64bit Java is installed? Type: "java -d32" and after hitting return type "java -d64"
One of the two commands will return an error message the other one the Java usage options. 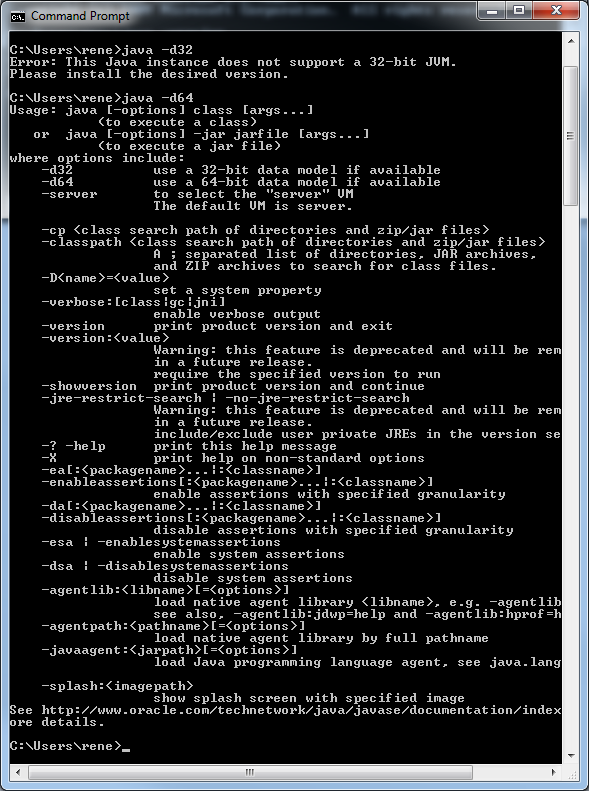 The one of the Java usage option is the version (32/64) that is installed. Keep in mind that we recommend using 64bit Java if your computer and operation system supports this.